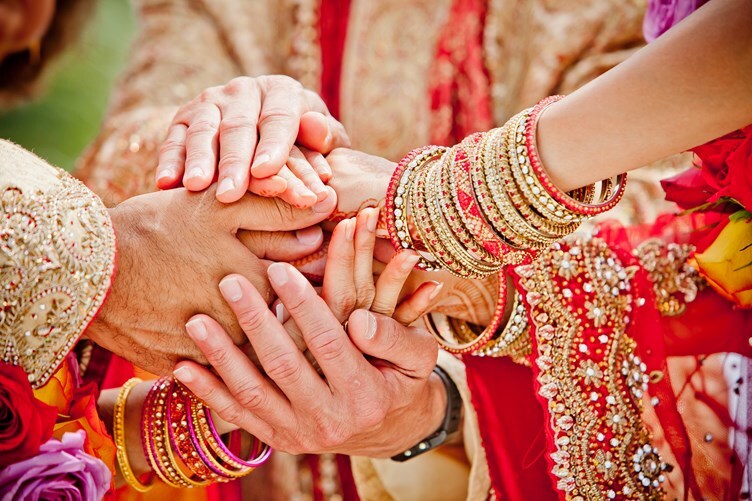 Law Web: Whether coldness or lack of affection towards wife will amount to cruelty by husband? Whether coldness or lack of affection towards wife will amount to cruelty by husband? The appellant-wife has sought divorce on the ground of cruelty. Cruelty has not been defined exactly anywhere. The allegations of cruelty cannot be considered on trivial issues, rather the allegations should have the origin with reference to time, place and manner of committing such cruelty. General allegations of cruelty do not constitute cruelty in the eyes of law so as to grant decree on that premise. In A. Jayachandra v. Aneel Kaur, MANU/SC/1023/2004 : (2005-1) 139 P.L.R. 710 (S.C.), the Hon'ble Supreme Court held that mere annoyance or irritation may not constitute cruelty, rather it is a spontaneous change in human behavior which restricts the other side to live with the spouse under the fear of endangering life or bodily injuries. Though, the word 'cruelty' has not been defined strictly, but it has to be gathered from attending circumstances of each case. The allegations should be specific with regard to time, place and manner of committing such cruelty. The cruelty should be such in which it is not reasonably expected to live together. It has a wider connotation as it should be willful and unjustifiable conduct of the spouse of such intensity which may endanger the life of other spouse and even may cause bodily injuries to the spouse. The spouse has a reasonable apprehension of such danger. 12. Cruelty varies from individual to individual, depending upon social and economic status of the spouses. It is not necessary that the cruelty is committed physically, rather mental torture or abnormal behavior may amount to cruelty to a spouse in a given scenario. 13. In Samar Ghosh v. Jaya Ghosh, MANU/SC/1386/2007 : (2007-2) 146 P.L.R. 618 (S.C.), the Hon'ble Apex Court summed up the concept of mental cruelty by holding that no uniform criteria can be laid down for guidance, but still the instances were enumerated for its application. The mere coldness or lack of affection cannot amount to cruelty. Muttaci Jeyapaul and Raj Mohan Singh, JJ. 1. This is an appeal preferred by Pooja Rani against the judgment and decree dated 10.9.2012 passed by District Judge, Jind, whereby petition under Section 13 of the Hindu Marriage Act (hereinafter referred to as 'the Act') filed by the appellant was dismissed and the counter-claim filed by the respondent under Section 9 of the Act was accepted. Petition under Section 13 of the Act was filed by the appellant for a decree of divorce by dissolution of her marriage with the respondent on the ground of cruelty. Marriage was solemnized on 5.7.2004 as per Hindu rites and ceremonies. The marriage was consummated and a son, namely, Chirag took birth out of this wedlock. 2. Appellant alleged that her father had spent more than Rs. 2 lacs on her marriage and had given sufficient dowry to the respondent and his family members. After six months of the marriage, in-laws started harassing the appellant for bringing articles like washing machine, motorcycle and refrigerator. On showing helplessness, she was given beatings, besides addressing her in a derogatory language. Her father paid an amount of Rs. 15,000/- and Rs. 12,000/- on two occasions but, behavior of in-laws was not changed. The appellant was not kept properly, despite giving birth to a son and was not provided with nutritious food. 3. Appellant further alleged that in February, 2010, she was given merciless beatings and was turned out from the matrimonial house. A panchayat was convened in which respondent and his family members felt sorry for their misdeeds and promised to keep her well. Accordingly, appellant joined the matrimonial house on the asking of the panchayat, but the behavior of the respondent did not change. Again on 20.5.2010, appellant was given merciless beatings and her son was snatched and she was turned out of the matrimonial house in wearing apparels. She came to the parental-house. With this background, divorce petition came to be filed. 4. Petition was contested by the respondent-husband by filing written statement. Marriage and birth of son Chirag from the wedlock were admitted, however, allegations made by the appellant were denied altogether. It was alleged that she left the company of the husband as well as of minor son at the instigation of her family members. She went to parental house along with her brother on 25.4.2011 on the pretext of attending some marriage function, but did not return thereafter to matrimonial fold without any reasonable cause. The husband filed petition under Section 9 of the Act for restitution of conjugal rights and set up the plea as a counter claim. 6. Both the parties led their respective evidence. 7. Trial Court took issues No. 1 and 2 together and decided the same against the appellant-wife. Counter-claim of the respondent under Section 9 of the Act was allowed. Issue No. 3 with regard to maintainability of the petition was not pressed by the counsel for the respondent. Resultantly, petition under Section 13 of the Act was dismissed, whereas, counterclaim set up by the respondent under Section 9 of the Act was allowed vide judgment and decree dated 10.9.2012. Hence, the present appeal. 8. We have heard learned counsel for the appellant at some length. 9. The cross-examination of the appellant reveals that she has admitted that her son is living with the respondent husband. She does not want to keep her son Chirag with her. She pleaded ignorance about the dates and events given in her affidavit Ex. PW-2/A. She lived with her husband for about seven years after the marriage. She never made any complaint against her husband, nor lodged any complaint in the police. She also pleaded ignorance with regard to exact amount paid by her father to her in-laws, nor gave any particulars viz. date, month and year of convening panchayat at the instance of her parents. She did not remember the date when she lastly left the matrimonial house. She also categorically submitted that after the divorce, she will re-marry and talks of her marriage are in progress in a financially sound family as compared to the family of her husband. 10. Father of the appellant, while appearing as PW-1, also admitted in his cross-examination that he wanted to remarry her daughter with some rich person. He also pleaded ignorance about the date, when his daughter came to his house from her matrimonial house. He also emphatically deposed that the second marriage of his daughter will be performed after getting divorce as the daughters are not supposed to be kept at parental house. He has already started looking for a groom for her daughter at 3-4 places. Even one of the probable was stated to be a commission agent. No commitment was made because of pendency of the divorce petition. 11. The appellant-wife has sought divorce on the ground of cruelty. Cruelty has not been defined exactly anywhere. The allegations of cruelty cannot be considered on trivial issues, rather the allegations should have the origin with reference to time, place and manner of committing such cruelty. General allegations of cruelty do not constitute cruelty in the eyes of law so as to grant decree on that premise. In A. Jayachandra v. Aneel Kaur, MANU/SC/1023/2004 : (2005-1) 139 P.L.R. 710 (S.C.), the Hon'ble Supreme Court held that mere annoyance or irritation may not constitute cruelty, rather it is a spontaneous change in human behavior which restricts the other side to live with the spouse under the fear of endangering life or bodily injuries. Though, the word 'cruelty' has not been defined strictly, but it has to be gathered from attending circumstances of each case. The allegations should be specific with regard to time, place and manner of committing such cruelty. The cruelty should be such in which it is not reasonably expected to live together. It has a wider connotation as it should be willful and unjustifiable conduct of the spouse of such intensity which may endanger the life of other spouse and even may cause bodily injuries to the spouse. The spouse has a reasonable apprehension of such danger. 14. The underlying principles of mental cruelty were highlighted by the Hon'ble Apex Court in V. Bhagat v. D. Bhagat, MANU/SC/0155/1994 : (1994-1) 106 P.L.R. 603 (S.C.). It has to be proved that on account of mental disorder or mental cruelty, it has become impossible for a spouse to live together with the other spouse and the same cannot be reasonably expected also. The mere filing of criminal cases per se does not amount to cruelty in a strict sense unless and until the same are found to be false. 15. Having given thoughtful consideration to the controversy, we are of the opinion mat the appellant-wife left the matrimonial house without any reasonable excuse and was intended to get herself re-married with some financially sound family. She left the company of the child voluntarily and never sought any custody of minor during the entire period. The appellant-wife never raised any hue and cry against alleged cruel act of the respondent-husband at any point of time, nor made any complaint to the police. The counter claim set up by the husband was under Section 9 of the Act The husband was ready and willing to join the company of the wife and sought decree for restitution of conjugal right. Grant of decree under Section 9 of the Act falsified the claim of the appellant-wife under Section 13 of the Act. In view of aforesaid, there cannot be any fault in the findings recorded by the trial Court in the impugned judgment and decree dated 10.9.2012. Consequently, this appeal is found to be totally bereft of merit and the same is accordingly dismissed.